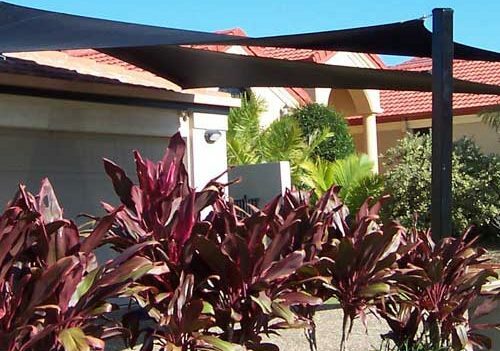 Aside from providing a comfortable shade to your outdoor living space, a stylish strip of fabric from a trusted brand like Coastwide Shade Sails can present a great addition to its overall aesthetic value. If you have a contemporary house, the geometric and swooping designs of shade sails can look like stylish, ultra chic art installations, making it a perfect outdoor statement for modern structures. Whether you want your shade sail to complement your existing exterior or add a bold, striking statement, take time to see your options. There are lots of shades to choose from. One great thing about owning shade sails in Tugun is that you can take it down anytime you want, especially during the winter months when you want to let in as much light as possible. Unlike pergolas, shade sails are not permanent and you can move it to another part of the property to suit your taste and purpose. If you have not fully decided on where to place your shade sails, one great way to start the process is by running string along the specific areas and see where the shadows fall. It is also important to keep in mind that since shade sails last for 10 -20 years, make sure to choose a colour or pattern that you will not get tired of or those that do not eventually grow out of style.